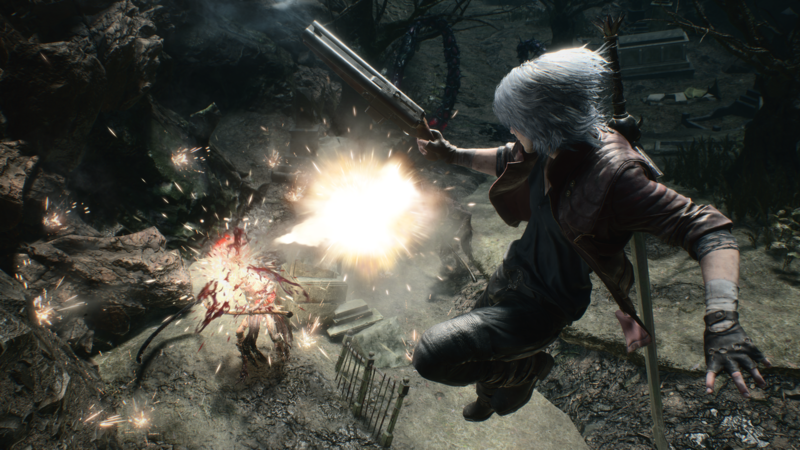 Capcom recently demoed Devil May Cry 5 behind closed doors at Tokyo Game Show 2018, offering the members of press in attendance a deeper look at Dante. GameSpot reports that during the showcase, it came across an in-game shop called Divinity Statue, which lets players trade Red Orbs collected while playing the game to upgrade characters. In the shop’s menu, the publication also discovered an option to purchase Red Orbs with real money, leading them to quiz the developer about microtransactions. When asked how microtransactions will affect players’ learning process considering they can simply buy upgrades instead of working towards them, Itsuno revealed that upgrades that are harder to use and master will be more expensive to purchase. The first thing is the stuff that we feel people should want to get first is made cheaper. So people will think, ‘Oh this is cheap so I’m just going to buy this.’ But then for the stuff that’s going to be harder to use and master, we make that more expensive. Partly because if you save up for that you’re not going to be able to buy as many skills, so you’re going to have the time to learn it. So you have to make the decision between going for the cheaper stuff or saving up, getting the thing that has a lot of application but you’ll have to spend time learning and perfecting. Upgrades that can be purchased with Red Orbs include moves, skills, and abilities. Devil May Cry 5 will release on March 8, 2019 for the PlayStation 4, Xbox One, and PC. The game will also feature multiplayer, which Capcom will detail at a later date.